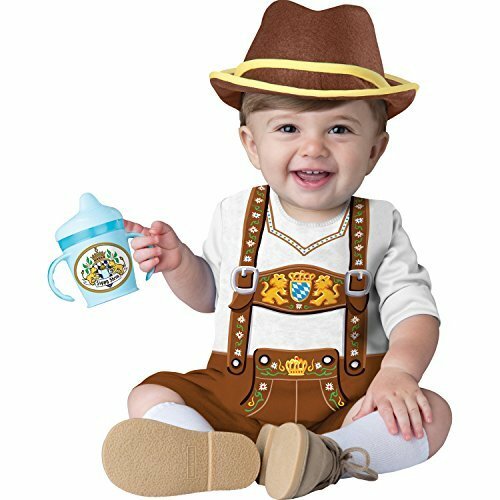 Jumpsuit with attached lederhosen suspenders, bavarian art prints and snaps for easy diaper change, hat and sippy cup sticker. 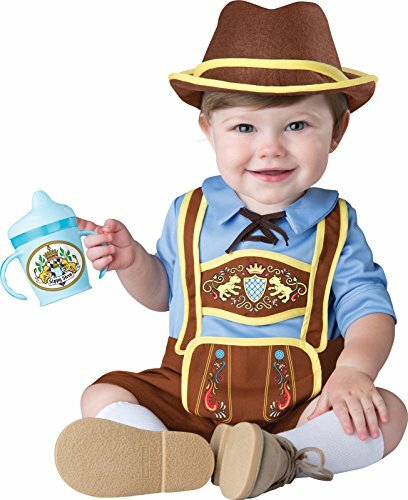 Our Infant Lederhosen outfit is great German costume idea for any infant. 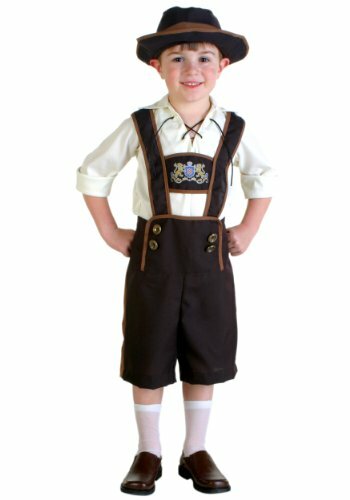 For a fun family costume idea consider our selection of German Costumes for all ages or consider our Lederhosen Costumes. 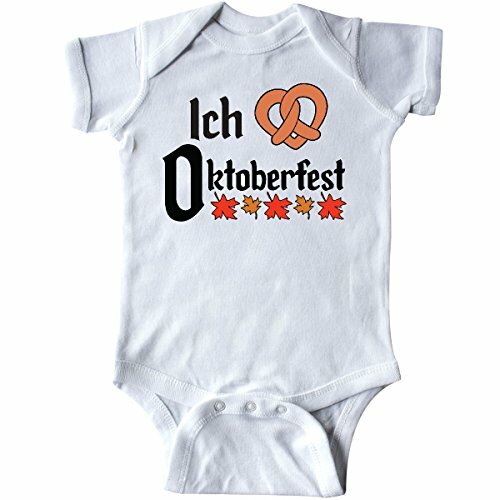 Infant Creeper celebrating Oktoberfest. Featuring the silhouettes of beer steins and leaves. 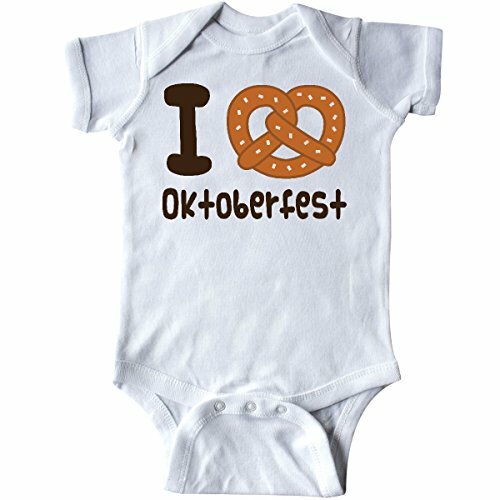 Cute pretzel on I Love Oktoberfest Infant Creeper fun holiday gift. 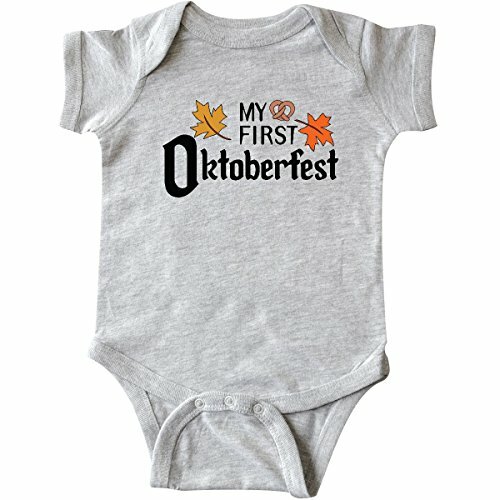 Infant Creeper celebrating Oktoberfest for first timers. Perfect for adults and kids with fun fall leaves and a pretzel. 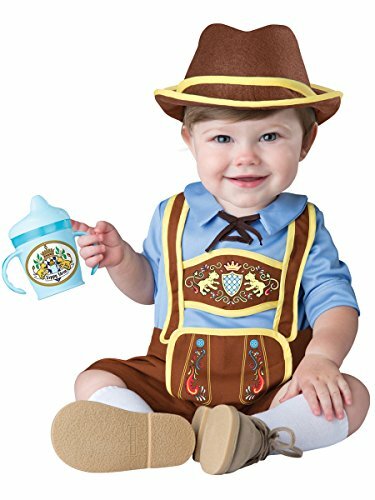 The Little Lederhosen Costume for Toddler includes jumpsuit with attached lederhosen suspenders, Bavarian art prints and snaps for easy diaper change, hat and sippy cup sticker. (socks and sippy cup not included). When Halloween time rolls around, make this item part of your child's complete ensemble. This costume is sure to get you some attention. Maybe even a few calls to 911.